This country amazes visitors with sunny weather all year round and the atmosphere of celebration. The best way to start exploration of Ethiopia is to visit the old cities of Axum and Gondar. The first one was founded more than three thousand years ago and was long used as a residence of the Solomonic dynasty. The city is rich in ancient buildings and monuments. The Church of Our Lady Mary of Zion is one of the most famous landmarks of Axum. According to a legend, the shrine was used to hide a precious artefact – the Arc of the Covenant that was brought to the city by King Menelik. Gondar is famous for magnificent palaces of the 16th – 18th centuries. One of these palaces has been transformed into the Museum of History and now it exhibits a large collection of precious items. There are several important sights in Gondar suburbs. These are a complex of ancient monasteries built in the 13th – 15th centuries and a complex of pools with healing spring water. The city of Harar is another popular tourist destination in Ethiopia. The most famous places of interest in the city include the Governor’s Palace, Coptic churches and several mosques. 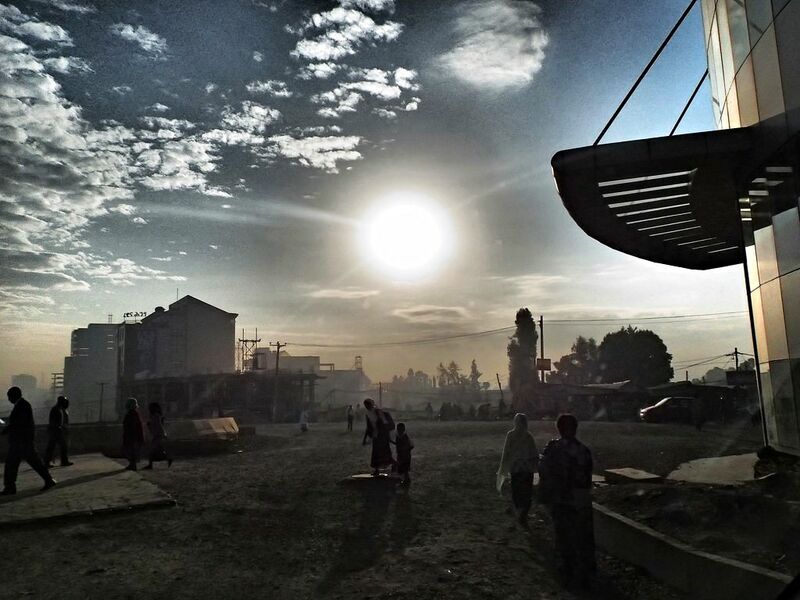 Fans of shopping should consider visiting Dire Dawa, one of the largest merchant cities in the country. Exotic markets, bazaars and shops occupy almost a half of the city. Addis Ababa, the capital of Ethiopia, is a traditional travel destination. 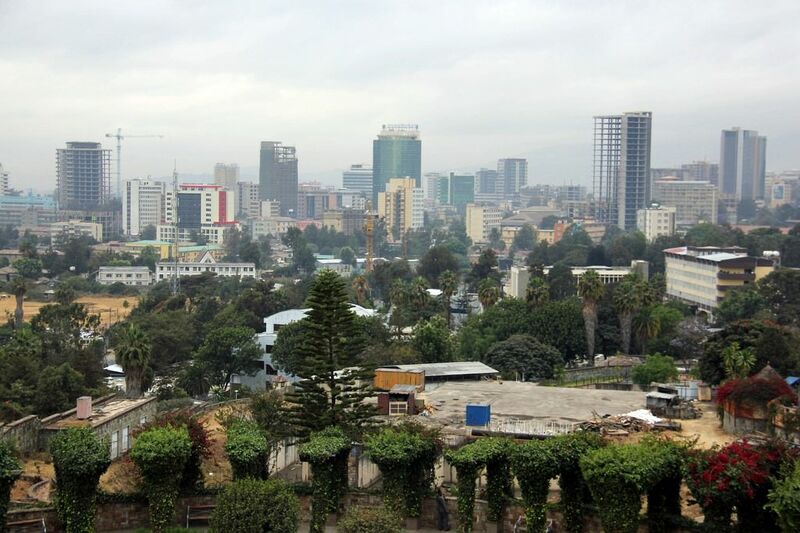 Guests of the city are recommended to visit such sights as St. George’s Church, the Palace of King Menelik II, the Palace of Africa, Art and Archaeological Museums, and Mercato market. Beautiful nature reserves are mostly located in the northern part of the country. One of them is located around Lake Tana. The Blue Nile Falls, which are surrounded with picturesque tropic coppices, are a famous tourist attraction. 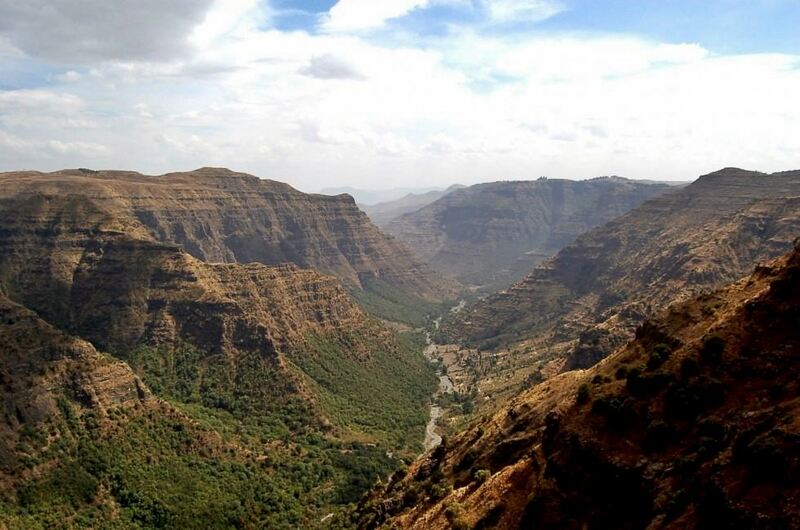 Finally, there are several national park zones in the south of Ethiopia. Lake Abaya remains the biggest landmark of that part of the country. 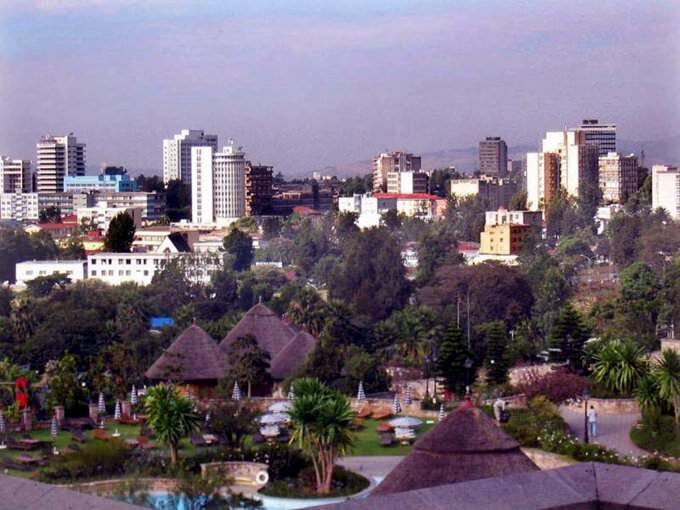 Ethiopia attracts many fans of exotic tourism. It is not a coincidence that this African country is one of the most extraordinary in the world. Many age-old traditions are still alive here. Surprisingly, the most of the natives profess Orthodox Christianity. The natives annually celebrate interesting religious holidays that go hand in hand with age-old rites. 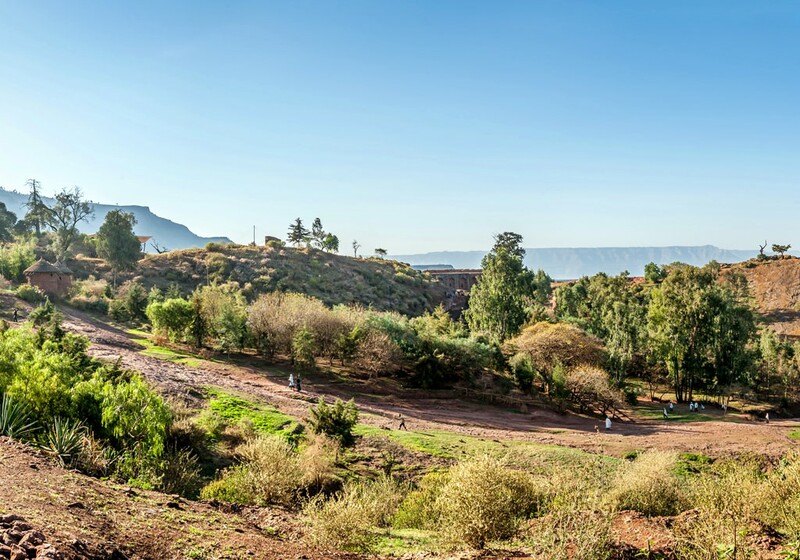 Pilgrims love visiting the ancient city of Lalibela where old underground churches and wells are located. They were constructed at the dawn of the modern civilization. Today, there unique religious artifacts kept in these churches. One of them is the unique Bible that was written over 600 years ago. It should be noted that the country lives in accordance with a special calendar that is 8 years behind the global one. There are not 12 but 13 months in the year, which explains such a special calendar. Ethiopia is one of the largest coffee producers in the world. This beverage is national here. You can drink a cup of fragrant coffee anywhere in the country, for example, in small cafes located on markets or near highways. Surprisingly, coffee is made even in such modest venues. The guests of Ethiopia can buy different types of this popular beverage and accessories for making them in multiple gift shops. The national cuisine of Ethiopia deserves a special attention too. It was formed under the influence of nearby countries and European colonizers. The natives also have a special type of bread called indjera that resembles flatbread. Another popular national dish is vat ragout that is made of different ingredients. These are fish and meat versions of this specialty and any vegetables can be added to it. Connoisseurs of flourishing dishes should taste tibs, juicy beef chops. Most of the national meat dishes are served with hot spices. Gourmets will be certainly impressed by prices here, as they are quite low at local restaurants. You can have incredible dinner with the most popular national specialties at a reasonable price. Besides coffee, another national beverage is honey wine called tedj. 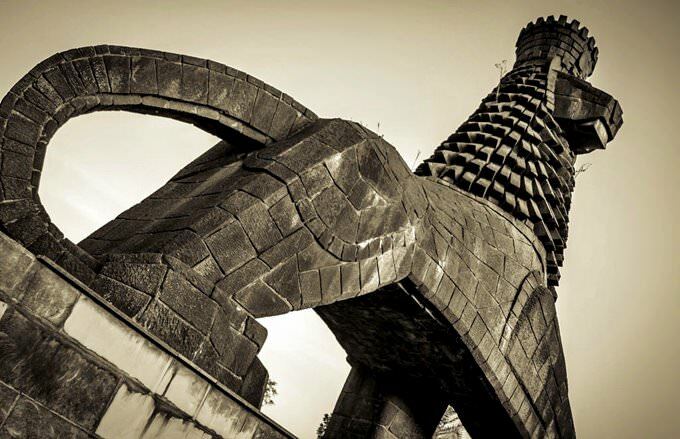 This article about iconic landmarks and sights of Ethiopia is protected by the copyright law. You can re-use the content, but only under the condition of placement of an active link to www.orangesmile.com. The Great African Rift is a unique geological object. Its fault is one of the most mysterious in the world. The rift is very big and it continues to grow. A lot of scientists claim that the present eastern part of Africa in the nearest future will become a separate island. When this happens, the planet will receive one new separate land. Gilgel Gibe III Dam is the highest dam in Africa. The dam began to work several years ago, in 2015. As we know, Ethiopia is one of the poorest countries in the world, that’s why the building of the dam became a major industrial step forward. Gilgel Gibe III Dam was built on Omo River. It is the third and most powerful in the cascade. The highest dam in Africa is 246 meters high and 610 meters wide. 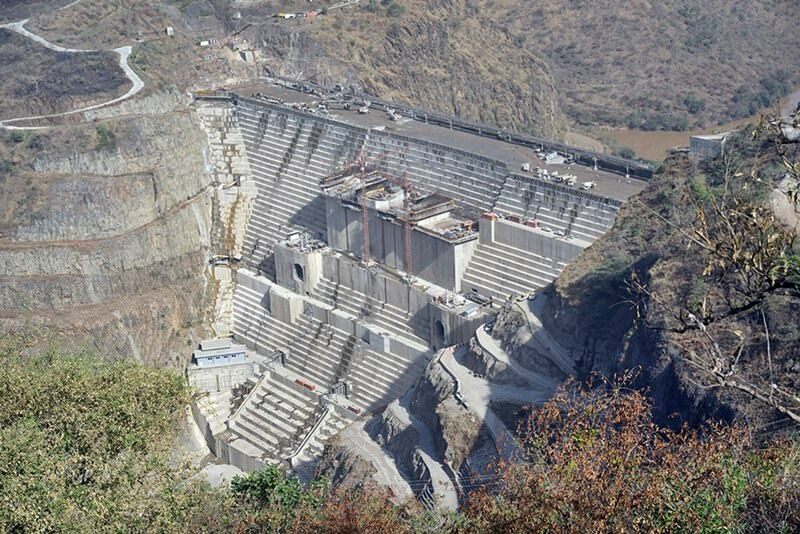 Notwithstanding that Ethiopia is still the poorest state in the world, the dam was built using the latest progressive technologies. The main material was concrete. It was chosen because it doesn’t have a lot of cement in its composition and has unique building performance. The capacity of the hydroelectric power station is 1870 megawatt. An Ethiopian Lalibela became famous thanks to the wonderful underground churches. According to the historical data, this city was established in the 12th century. 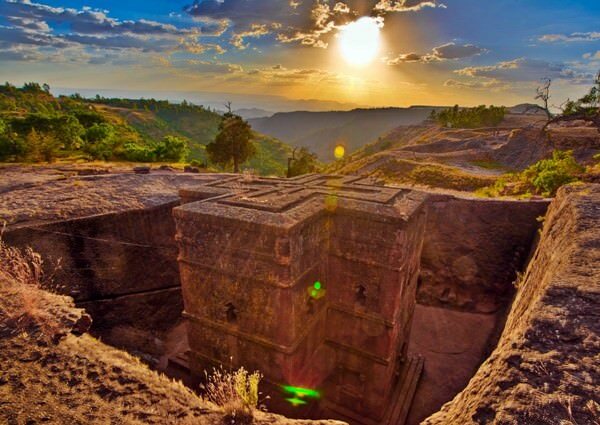 Its golden age was at the reign of the emperor Lalibela. In honor of whom the city has been named for about 800 years. At the disposal if this ruler, the building of underground churches had begun. The building had finished only in the 13th century. On this territory were found eleven Christian churches that were built by human force. Huge temples were sculpted from the soft volcanic tuff. This area is very rich with this building material. The underground churches adore with its dimensions. The biggest is the Christ the Savior Cathedral. Its length is 33,7 meters and 23,7 meters width.